Karina is an absolutely wonderful instructor. Never have I felt so encouraged, even during times when I kept messing up. She always made sure that I knew what I was doing and helped solve any problems I had. Each lesson was fun and I constantly felt supported. 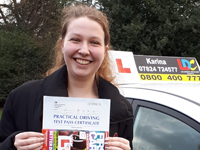 With her support, I now feel I'll be able to become a competent and safe driver; she has left me with skills I'll use for a lifetime and for that I will forever be grateful. The LD System's workbook and videos are very helpful and informative. The explanations were well structured and the quizzes at the end of each section were helpful in consolidating knowledge and identifying weak points. 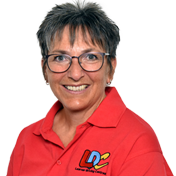 I'm a driving instructor in Loughborough, Barrow-On-Soar, Coalville, Quorn, Sileby, Shepshed,Hathern, Mountsorrel and surrounding areas.